Vassar’s campus will be filled with exciting and important events this week, many of which are supported by CAAD. From food symposiums to Collaboratory projects to open mic nights, this week is sure to keep your schedule busy, your mind open and engaged, and, perhaps, your stomachs full. “Layer Chiffon” is a hands-on interactive installation inviting viewers to explore a sampled history of food, materials, and, gender roles in mid-20th Century America. Custom silicone Bundt “jello-like” forms will invite the viewer to touch or press on the jello-y forms. Sensors detect the pressure of the viewer interacting with the form and activate a video projection assigned to it. Each form has a unique video that is associated with the data input of the design. When each form is pressed individually the assigned video will project, when the viewer touches two forms at a time a different video will project allowing the viewer to navigate the videos creating a custom experience or narrative. Academic discipline connections in this piece include Digital Humanities, Computer Science, Marketing, History, Animation, and Art. 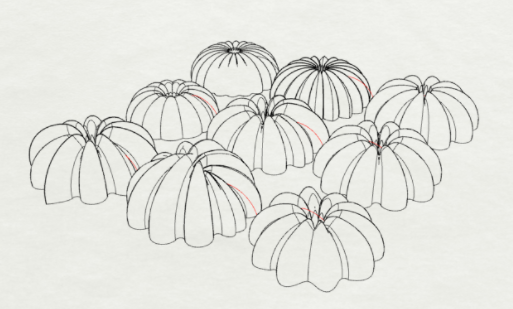 The forms are designed by data set inputs in three-dimensions. The digital workflow also includes computer-aided design and computer-assisted manufacturing processes to produce the molds. Each mold is later hand-finished and cast. This interdisciplinary exhibition is one you simply cannot miss. 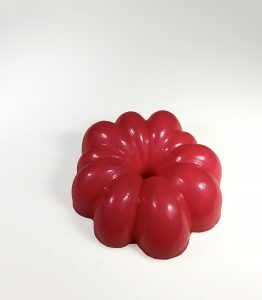 To learn more about Starrett’s process, feel free to check out her website for more photos and commentary about Layer Chiffon. Vassar Red Sand Project works alongside the project first started by Molly Gochman. Impermanence of the sand parallels to the loss of stability in a prostitute’s life. Granular assemblage nature of sand symbolizes the loss of freedom of the prostitute. Sand is nothing without other pieces of sand and it symbolizes prostitutes emotional and financial reliance on their pimps. Rain washes away the sand- washing down the street (like street trash), guzzling down into the gutter. The concept of being washed away/lost corresponds to psychological duress of victims. Over time the sand washes away, grain by grain; this parallels how over time victims lose their individuality piece by piece. By putting the sand in the cracks it symbolizes more than an emotion, but rather the victims oppression itself. People walking over the cracks without a second thought symbolizes not only the invisibility/ lack of knowledge about human trafficking, but also people’s blatant disregard and often re-victimization of those afflicted. The red represents the sexualizing of women, danger, urgency, carnal desire, red light district (Amsterdam), womanhood (Menstrual cycle), suffering, agony, anger and heartbreak. 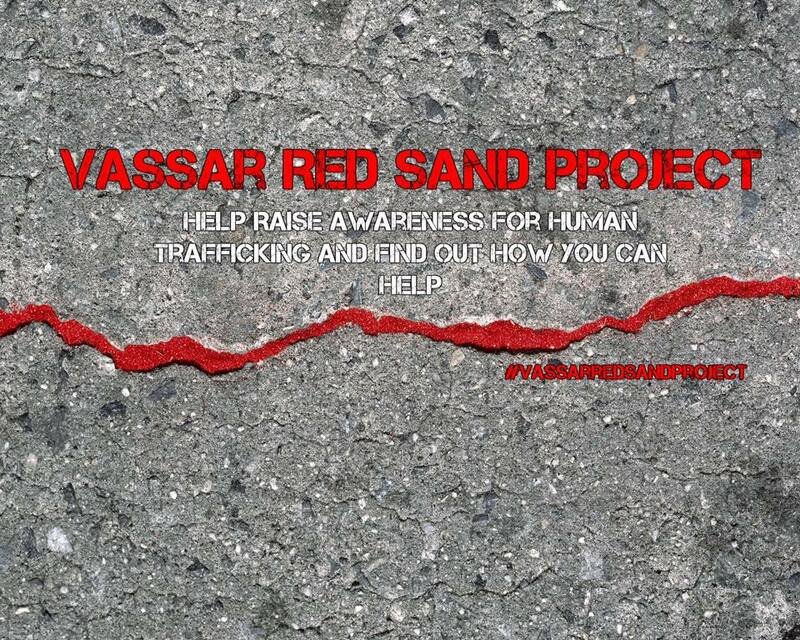 Please follow this initiative on Instagram @vassarredsand to stay informed and to help spread awareness. Vassar’s first-ever food symposium will take place this Friday and Saturday (4/7-8) at Alumnae House. “Building Food: Food, Space, and Architecture” is jam-packed with events that are free and open to the public, but registration is required. To reserve tickets for either the entire symposium or for particular events, please contact BuildingFood@Vassar.edu. For more details about each of these events, please visit this article published on Vassar’s info site. April 1 marked the beginning of National Poetry Month. Please stay tuned all month long with poems and articles about poetry from Vassar students and others in the poetry community. There will also be two open mic events this week; one hosted by Wordsmiths on Wednesday night at 9pm and another hosted by the Vassar College Research Library on Thursday night at 7pm. Please check out the Facebook events for more information! Acclaimed author Zadie Smith will deliver the annual Alex Krieger ’95 Memorial Lecture on Wednesday at 8pm in the Villard Room. She will be reading from some of her recent works as well as partaking in an interview with Professor Amitava Kumar. She is an award-winning novelist, is a frequent contributor to The New Yorker, and is a creative writing professor at New York University. Her exploration of art, gender, race, and other facets of identity have earned her much recognition. Be sure to attend this important lecture! 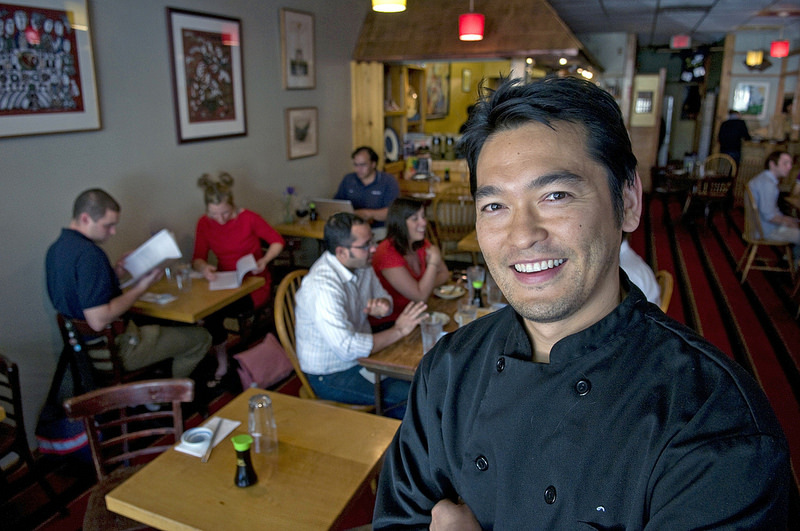 ← Food Symposium Featured in Poughkeepsie Journal!